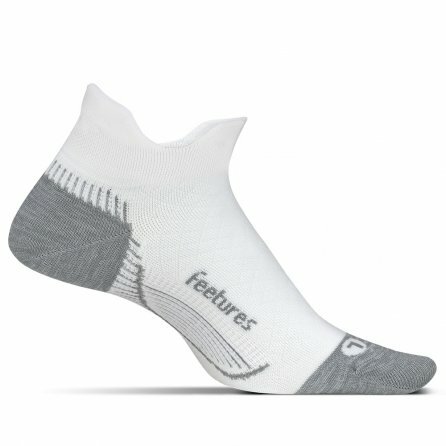 Get the foot relief you need with the Feetures Plantar Fasciitis Cushion No Show Tab Running Sock. Featuring three targeted compression zones, these running socks are designed to stretch and stabilize your Achilles tendon and help alleviate pain and discomfort. The Feetures Plantar Fasciitis Cushion No Show Tab Running Sock also features all the great perks you love including a seamless toe, anatomical left, and right design and moisture-wicking material to keep your foot even cooler and more comfortable than ever before.